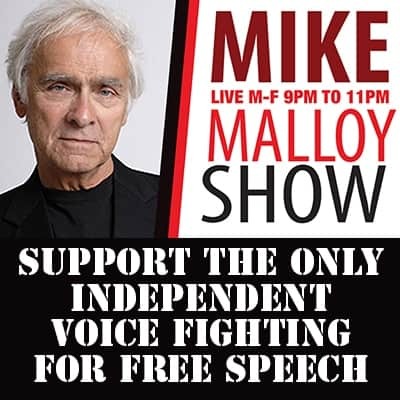 Malloy Monday - Mike Malloy Radio Show : Progressive Radio : Online Video Streaming : The Best In Nighttime Liberal Talk! M-F 9pm-12am. | Mike Malloy Radio Show : Progressive Radio : Online Video Streaming : The Best In Nighttime Liberal Talk! M-F 9pm-12am. Epidural. Thousands of women get these each year for childbirth with few ill effects. It seems, however, when it is chocked full of steroids and painkillers and given to an older gent, the after effects are….unpleasant. Mike had such a cocktail shot into his lumbar spine earlier today and although his sciatica nerve pain is greatly improved, he’s dizzy, nauseous, jittery, and has a terrible headache. So we are bringing you a CLASSIC MALLOY show tonight and Mike should return tomorrow, once he regains his sea legs. We hope you’re feeling better today! From the way Mike appeared last night, I’d say he feels much better. Those after effects Kathy mentioned sounded as though he had just escaped the CPAC conference. Meanwhile Trump is sitting down with some congress members (with arms folded over his chest in full deflection mode) discussing gun safety, two words that are completely unrelated. License and certify training of all gun owners. Ban all assault weapons and initiate a buy back to be paid for by the NRA, the lobby responsible for these killing machines being sold to the public. Well, Denny, at least Trump had a lucid moment on Feb 28 when he asked Senator Pat Toomey (R-PA): “Are you afraid of the NRA?” Toomey co-sponsored a bill in 2013 with Senator Joe Manchin (D-WV) that would have allowed those between 18 & 21 years of age to buy rifles but not handguns. Trump even went so far as to say cops should take the gun away from a disturbed-looking person, and let a court decide later if he or she can have it back. It’s not often you hear a Republican — or any politician — advocate gun-grabs. Isn’t that what the NRA said Obama would do? As much as I enjoy any lucid moment I can get out of Trump, I don’t put much faith in it. Trump is a consummate opportunist, and he is clearly feeling the heat generated by the gun safety movement sparked by the survivors of the shooting in Parkland, Florida. (Florida Governor Rick Scott is also feeling the heat.) There’s no telling what Trump’s position on gun safety will be 25 minutes from now. He still maintains teachers should be armed — even after a Georgian teacher shot up a high school. Hope Hicks lies to Congress and then gets away with it. Kushner repeatedly lies on his security clearance applications and NEVER gets arrested. Lying is a felony. Try getting a job, renting an apt. or voting if you’re a felon. Or a multiple felon. I hope Mike is alright because after his return last Tuesday he hasn’t been back. Anyone know anything I am missing.